The latest from BMW is the M850i xDrive. We test the car in sunny Portugal with the top down to get you a comprehensive perspective on the new 8 family. 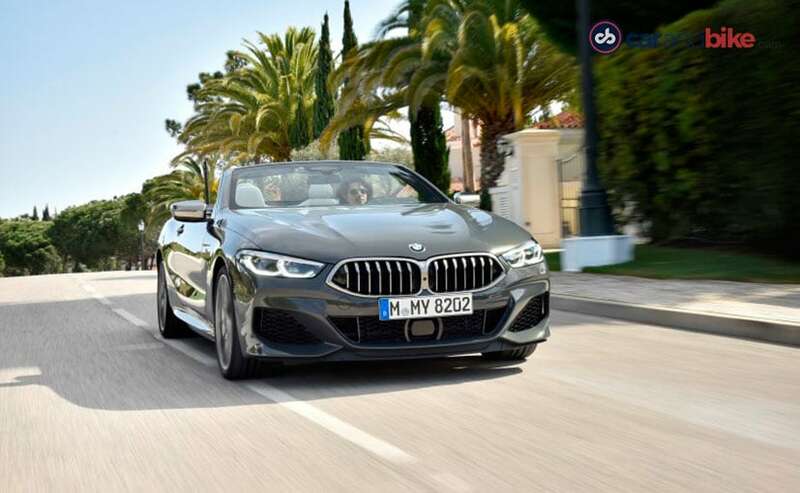 The all-new BMW 8 Series appeared in its coupe avatar in the middle of 2018, and a few months down the line it is time for the family to grow. BMW has used the 8 Series name in the 1980s and 90s, but this cannot really be called a successor to that car. Still, if you want to, call it a second generation! 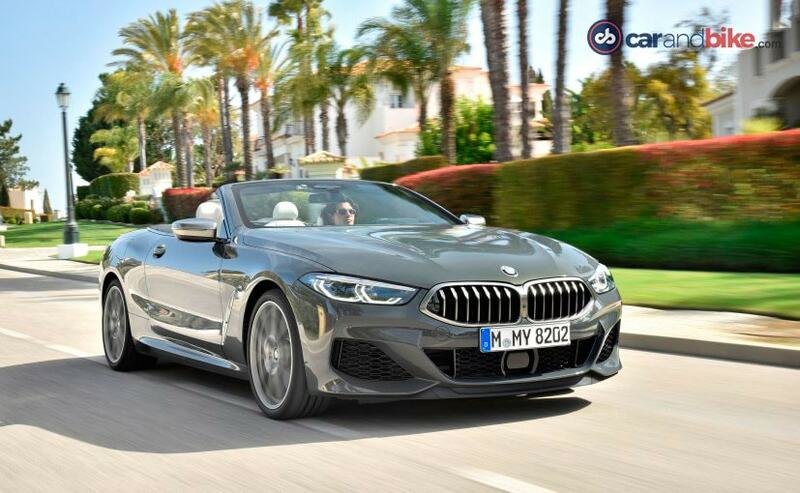 The 8 Series convertible has also since arrived, and a 4-door Gran Coupe bodystyle will complete the family when it gets here by mid-2019. 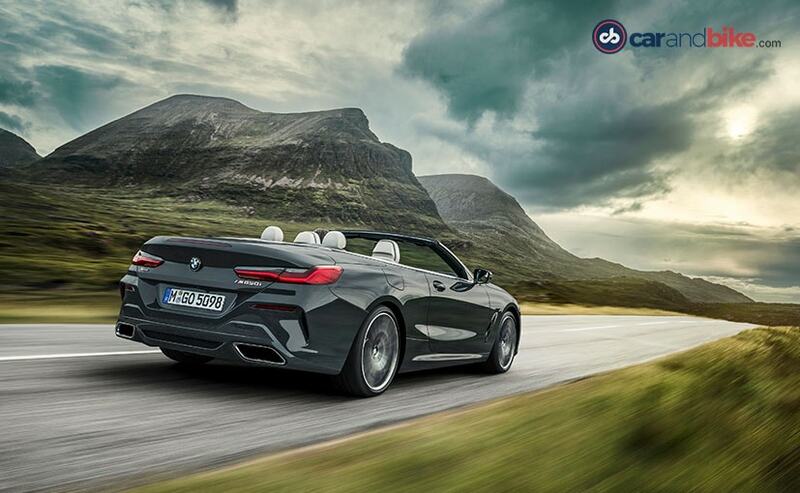 But let's stay focussed on the new 8 Series convertible shall we? 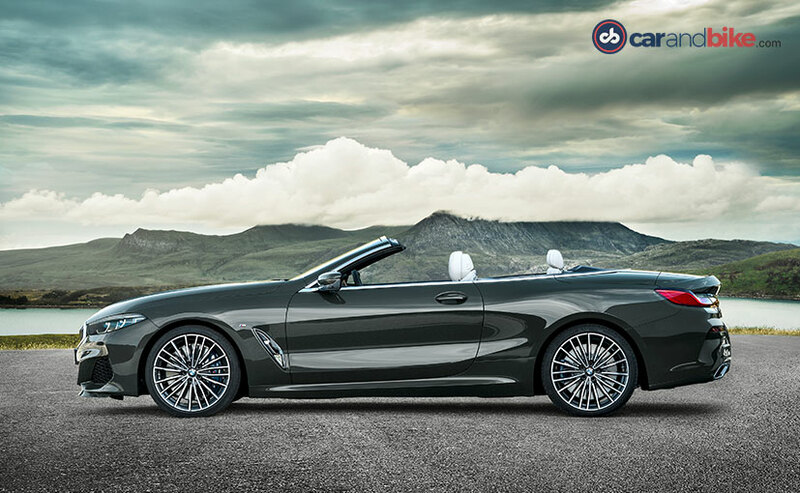 The 8 Series effectively replaces the previous 6 Series family, but is being positioned as more premium and sporty. This is largely true, as you shall find out. The car is 4851 mm long, with a 2822 mm wheelbase, 1902 mm wide and 1345 mm high. That makes it near identical in dimensions to the previous 6 Series convertible. It's a tad wider, but is shorter in height and length, as well as wheelbase. But it is obviously more luxurious and better appointed. And looks sexier too. The car looks great to be honest. Low slung form, great proportions, and rather obvious width - especially in how the rear end has been styled. The hood and flanks are very muscular, and there are a couple of prominent character lines that emphasise its length, along the side. The grille is a bit large and wide, yet very well executed and kind of menacing. The headlights are the slimmest in BMW's line-up, and can be upgraded to Laserlight tech if you pay more. Material quality, equipment and yes even the gadgets are a step up for sure. 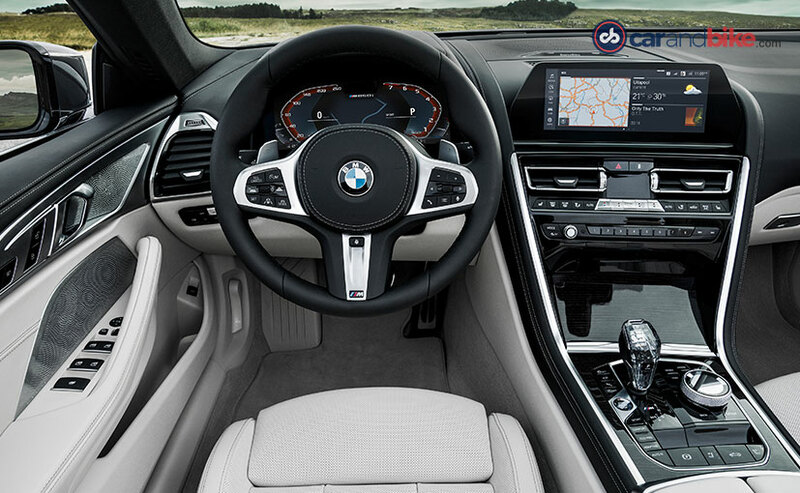 Virtual cluster, head up display, bigger touchscreen with the latest iDrive 7.0 and the latest in connectivity and sound systems. Harmon Kardon is standard; Bowers & Wilkins diamond surround is an option. The convertible does not have gesture control (the hard tops have it), but does get the BMW personal assistant voice-controlled functionality. The start stop button, gear shifter and iDrive controller are finished in crystal glass like we saw on the X5 and X7. But this is the first non-X model to get what BMW calls 'crafted clarity'. The dash and door panels are all wrapped in leather. The car certainly exudes quality and class. 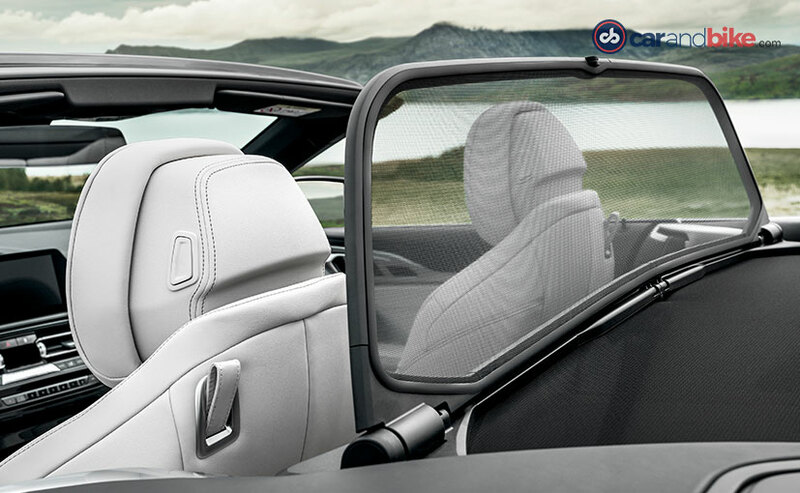 There is a wind deflector that comes standard which can be manually popped on or off over the rear seats. The roof folds up or down in just 15 seconds, and can be operated at up to 50 kmph. The previous 6 convertible did it in 19 seconds and up to 40 kmph for what it's worth. While the car is not then a 7 series based model, it does share its drivetrains. 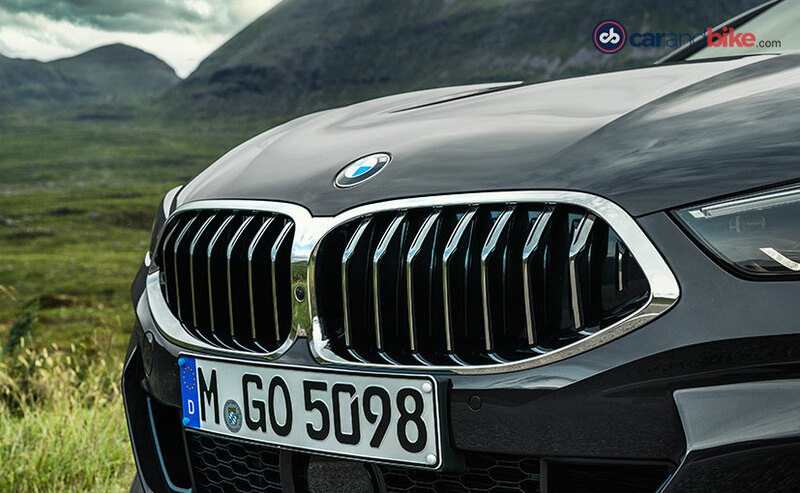 The M850i xDrive has the 520 bhp V8 petrol and the 3-litre, 314 bhp in-line six diesel that powers the 840d xDrive. Now BMW could bring us the convertible as a direct import in really small numbers. But you know what? It would also have to import in the wonderful clean air and the beautiful blue sky I've been lucky to have on my drive! That is why it is going to be the hard top that comes to us, and more likely not the coupe, but the Gran Coupe. Yes it is likely we will only get the 8 Series Gran Coupe. But that car will only be revealed around June or July this year. So you might wonder why I am testing the convertible then? Well, three reasons why. First, because the engines we get will be shared across bodystyles, and so will be the same. Second. It is a chance to see where BMW has taken the 8 Series family, after all we never did drive the coupe as yet. And third - even though we may get a different bodystyle, a lot of the dynamics, performance and design elements will be similar, so it will still give us a good idea on what to expect. Satisfied? Then read on! BMW is going through a major new vehicle offensive. New models, first time models and upgrades galore. While 2018 saw a lot of that action stay on the X or SUV side of things, 2019 seems to be about the sedans and sports cars. And the 8 Series, while not a sports car like the new Z4 is certainly very sporty and a lot of fun. Almost surprisingly so! And I have to say, having the powerful M850i with me today has been nothing short of fun! The car uses BMW's latest V8 petrol motor with 68 bhp more power than its predecessor. And peak torque is bumped up a massive 100 Nm to 750 Newton Metres. Two twin-scroll turbos on this V8 engine by the way. The first thing that strikes you when you start the engine and begin your drive is how quickly the power reaches the wheels. So despite its size this thing can move! BMW has certainly made a huge effort to really come back to the centre of what the brand was always all about. Yes it seemed to have lost its way a few years ago, but like I have said, its come roaring back, and is once again making cars that are great to drive. The good part though is that they don't knock you around, they are not that stiff anymore, so while you get all the dynamics that you want, you still get a fair amount of comfort, and an obvious sense of luxury. And especially for a car like this, that is important. So yes the 8 series betters the performance seen on the previous 6 Series by miles. The car belies its size and is quick, adept and very happy to be pushed through sharp corners and yet maintains superb control. The handling on this car is easily right up there with the best, and the steering is on point. 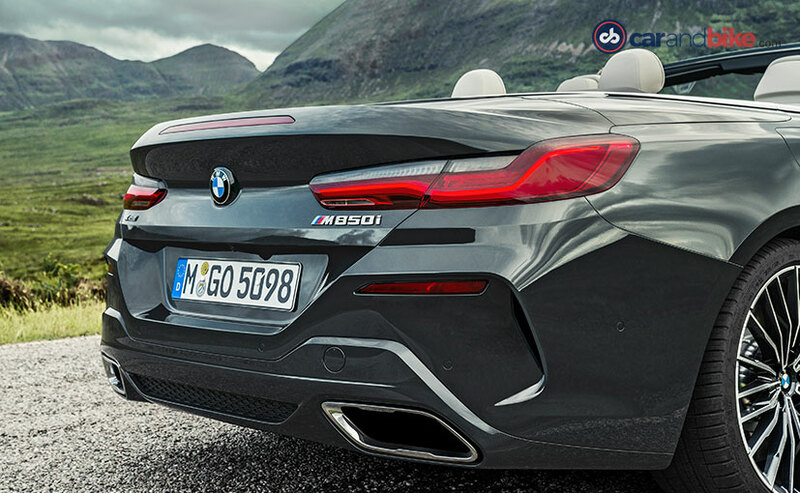 The 8 Series gets active steering and all-wheel drive or xDrive as standard. The car's athleticism comes from there too. Active steering means the rear wheels also turn (either with or against the front wheels depending on the situation or speed) and give you the sense of driving a more compact car. The all-wheel drive system works well, as does the 8-Speed Steptronic gearbox - that is also common to both engine types. Now it's an amazing kind of dynamics that the engineers these days have been able to achieve, the car's acoustic levels inside, even with the top down are amazing, you can hear the music really well, you can talk to the person next to you, take a phone call on the system as well, and in my case - does not mess up your hair way too much. That's important! The car is fun to drive for sure, and can take a fair amount of punishment. And that leads me to wonder, no salivate, at the prospect of the M8 that is also expected later this year. Yes, more so than the Gran Coupe even though from a market point of view I should care about that more! On the downside the cabin does feel a touch cramped, especially at the back. And given it's a new model that is not the next generation of a 6 Series model line - and is also meant to rival the likes of the Mercedes-Benz S-Cabriolet, it could have been a bit larger on the inside. But in every other aspect the car certainly impresses. And that is why the prospect of India getting the longer wheelbase Gran Coupe then, works. Expect that to only happen around the end of this year, or perhaps February 2020. Tata Harrier is gaining popularity. Find all the details here.